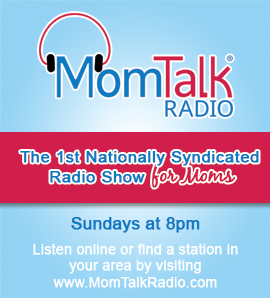 This week on Mom Talk Radio, Debbie Rebber, author of Differently Wired: Raising an Exceptional Child in a Conventional World, shares her experience and tips for raising “Differently Wired” kids. Spotlight on Moms features Eloise Gagnon of LideByEloise.com. Meg Maguire, author of Perfectly Maggie®: A Sleepytime Story, shares how parents can enrich their children’s self-esteem with Perfectly Maggie. Mindfulness expert and author of Life Falls Apart, but You Don’t Have To: Mindful Methods for Staying Calm In the Midst of Chaos, Julie Potiker, shares tips for “unhooking” parenting. Sarah Walters from Greater’s Ice Cream, shares tips for celebrating National Ice Cream Month.